If you think yogis only drink green smoothies and coconut water, think again! Beer yoga is the new craze that combines two ancient arts—yoga and brewing beer—for one spectacular night out. And now, after originating in the United States as a way to introduce beer lovers to yoga, this trend is making its way across the globe. Not long ago, we wrote about the amazing ‘Hops and Hatha’ classes held at Quest Brewing Company in Greenville, South Carolina. 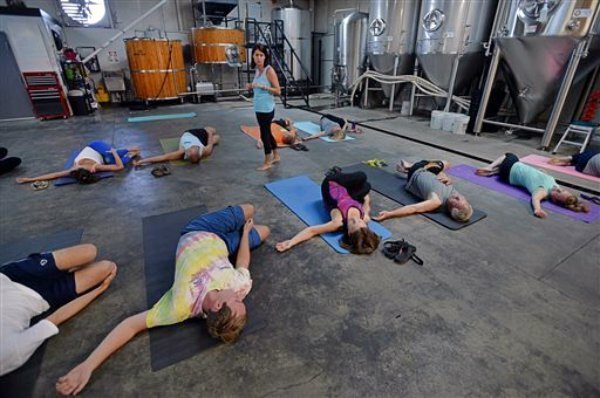 ‘Hops and Hatha’ pairs a beginner-friendly yoga class with a craft beer-tasting session to appeal to beer lovers who might not otherwise be interested in yoga. These classes give practitioners a new appreciation for both beer and yoga—but you have to wait until after the asanas have ended to have your first sip. But why wait until post-Savasana to sample a delicious brew? Berlin’s studio BierYoga takes the beer/yoga combo one step further by incorporating the drink directly into the asanas. Now, you can practice yoga with a bottle in your hand—or balanced on the top of your head in Tree pose. BierYoga’s founders say they first encountered this practice at Burning Man, an annual arts festival in the Nevada desert. But it’s no surprise that the trend really caught on in Germany, a place known for its world-class beer and serious appreciation for the brew. A beer yoga class is sure to be full of fun and laughter—especially after the first drink—but the aim is not a frivolous one. Yoga is all about making a mind-body connection, and taste is just another way to stay present during the practice. As one of BierYoga’s founders, Jhula, explained, pairing the art of yoga with the pleasure of a delicious brew might just help you reach a higher level of consciousness. 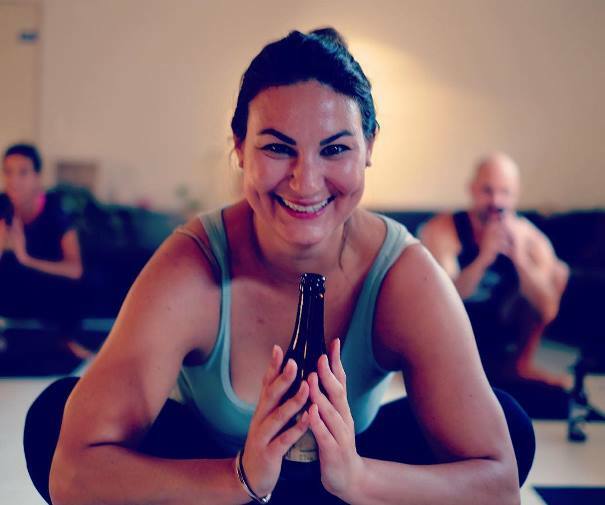 With their smash-hit studio, BierYoga founders Emily and Jhula have taken beer yoga mainstream, and now it’s showing up in places as far away as Sydney, Australia. Beer-loving yogis across the globe are in luck, because this seems to be just the beginning for this unique trend. Have you ever tried beer yoga? If not, will this be the next adventure in your yoga journey? Share your thoughts with us in the comments!